President Muhammadu Buhari has asked the national executive committee (NEC) of the All Progressives Congress (APC) to consider reversing the tenure extension of the party’s national working committee (NWC) led by John Oyegun, chairman of the party. The president said this at the party’s headquarters in Abuja on Tuesday. 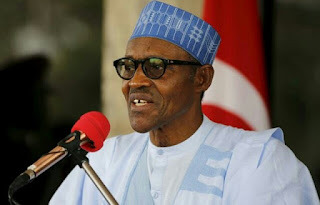 Buhari said the extension decided upon at the party’s NEC meeting on February 27 is against the constitution of the APC. He said he wanted to avoid a legal battle that could jeopardise the party’s cohesion before the 2019 general election. “In particular, I think it is important to talk on the contentious issues of the tenure of our national and state executive officers. As we all know, the motion was moved at the last NEC meeting February 27, 2018, to the effect that when the tenure of the current executive expires in June this year, they should be allowed to continue for one year. This motion was moved by majority of members present at the last NEC meeting. Even though some of our party members have since spoken very vehemently against it, others have even taken the matter to court,” he said. “On my own part, I have taken some time to review and seek advice on the resolution and what I have found is that it contravenes our party constitution and the constitution of the Federal Republic of Nigeria. “While the APC constitution article 17, in bracket 1 and 13 on two bracket b, limits the tenure of elected officers to four years, renewable once by another election. The 1999 constitution of Nigeria as amended, in section 223, also prescribes periodic election for party executives at regular intervals which must not exceed four years. “Furthermore, article 31 of our party constitution provides that any principal officer wishing to re-contest or contest for another election must resign from his current post at least one month before the election. “In this circumstance, what is expected of us is to conduct fresh election once the tenure of the current executives approaches its end. “The caretaker committee cannot remedy the situation and cannot currently act in place of electing officer. Furthermore, I think if we the constitutional provisions we might be endangering the fortunes of our party. “If the tenure of our party executive can be legally faulted then it means that any nomination and primary election can also be faulted. This is not to talk of the issues that will arise and is already arising within the party when some of our members felt that they are being denied the right to aspire to executive positions, internal democracy is not explained within the party. “I am therefore of the firm belief that it is better to follow strictly the dictates of our party and national constitution rather than put APC and its activities at grave risk. Bola Tinubu, a leader of the APC, and some stakeholders of the party, had opposed the extension of the tenure of the NWC and state executives by one year.